Ever since the somewhat modest re-start of the band back in 2001 when they released their album This Is Rock ‘n’ Roll and Well Oiled (2004), The Quireboys have built a real stable following and fan base, even though said albums weren’t all that great. But what they did do was to show their fans that they were back and that they wouldn’t become one of those nostalgia acts, no, this was the real McCoy. I don’t want to use the title reunion here as it feels more like Spike (vocals), Guy Griffin (guitar) and Nigel Mogg (bass, left the band in 2007) started afresh as a completely new band that was using the old name. The Quireboys were extremely close to making it huge back in the day. Their debut album A Bit Of What You Fancy came out in 1990 and spawned no less that four big hit singles and for a while there, these English blokes were the talk of the town. But when the follow up was about to be recorded, the guys relocated to America to work with Bob Rock. Big mistake! The Quireboys were – and are – a typical British band and their influences are all British with bands like The Rolling Stones and The Faces up front. You didn’t have to be a rocket scientist to figure out that Bob Rock’s sound and ways of recording would be totally wrong for a band like the Quireboys. Because the band had to wait for Rock to fit them in his schedule, the album Bittersweet And Twisted was delayed and came out in 1993 – three years in between albums back then was a long, long time – and by then a lot of their fans had forgotten them. The album had som really strong stuff on it, but it was over produced and had little of the spontaneity and playfulness of the debut and felt too much like a product. Of course, the album bombed and the fact that the members had caught some bad drug inflicted health issues dragged the band and after some touring, the band split in 1994. Apart from some temporary reunion shows in the 90’s, the Quireboys didn’t exist up until their re-start in 2001. But since then the band has been touring frequently and kept on releasing albums, that has gotten better and better. Today, only Spike and Guy Griffin remains from the original line-up and Spike’s old song writing partner, who he co-wrote the band’s first albums with, Guy Bailey, quit music altogether after the group disbanded in the mid-nineties. Today’s line-up with Spike, Guy, guitarist Paul Guerin and keyboard / piano player Keith Weir seems to be a stable one and Paul and Keith has been with the band since 2004. The band has proved to be back on track with first Homewreckers And Heartbreakers (2008) and last year’s Beautiful Curse and this time, it only took them one year to put out a new record, a very short time in between albums in this day and age. My only concern is that the short time frame will affect the quality of the music, but on the other hand, this band doesn’t really stay longer than necessary in the studio, so hopefully there wouldn’t be any problems in that department. It only takes one blast from opener “Troublemaker (Black Eyed Son)” to realise that Spike & co don’t do anything half-arsed. It’s a brilliant tune and a modern Quireboys classic already. “What Do You Want From Me” is a bluesy and dark ballad and if you turn out the lights and close your eyes it might take you to some smokey, cramped club somewhere. “Julianne” is an acoustic based pop rocker on the darker side, not a far cry from “Mona Lise Smiled” from Heartbreakers And Homewreckers. It also contains some fabulous organ playing by Weir. “Double Dealin'” takes us back to the good old days of the early 90’s with some classic Quireboys rockin’, “Stubborn Kinda Heart” is another killer bluesy ballad and “Lullaby Of London Town” rocks us back into their more poppier moments. When The Quireboys goes rockin’, The Rolling Stones are never far away, especially not their early 70’s style and “You Never Can Tell” have the style of the Stones’ Sticky Fingers (1971) sound. Also, “Mother’s Ruin” could have been a lost Stones ballad from the early 70’s – really great stuff. The album closes with the brilliant acoustic ballad “Monte Cassino (Lady Jane)” and leaves me wanting to listen the album once again. For all of you who have doubted the Quireboys’ ability to still write and record great songs and albums, think again. They have with yet another killer album proved that they are a force to be reckoned with and the line-up they have today feel just as classic as their, well, classic one. 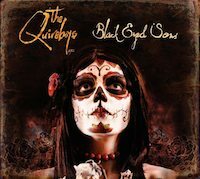 Still, don’t expect that Quireboys will go out on some experimental journey, gushing redundant sounds and styles all over the place. No, with the Quireboys it’s the what-you-see / hear-is- what-get rule because there is nothing new under the sun at all, just the way we like it. What you get is a good dose of good time rock ‘n’ roll, played pretty hard with lots of passion, heart and soul and if you dig The Rolling Stones, Faces, Humble Pie and The Black Crowes, then this is for you. On the other hand, if these bands are what makes you tick, then you probably already owns this and loves it as well. A classic sounding Quireboys record, no more, no less.